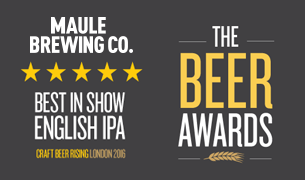 Maule Brewing Co Best in show - Craft Beer Awards - Maule Brewing Co. 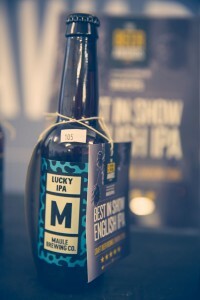 So we only just went and won the Best in Show award for our Lucky IPA in the English IPA category! With a score of 99/100, it was one of their highest ever! With over 47 years’ experience in judging quality in alcoholic beverages, IWSC Group, along with a with a stellar line up of expert judges were at the Craft Beer Rising 2016. Their quest to find the best IPA at the event. 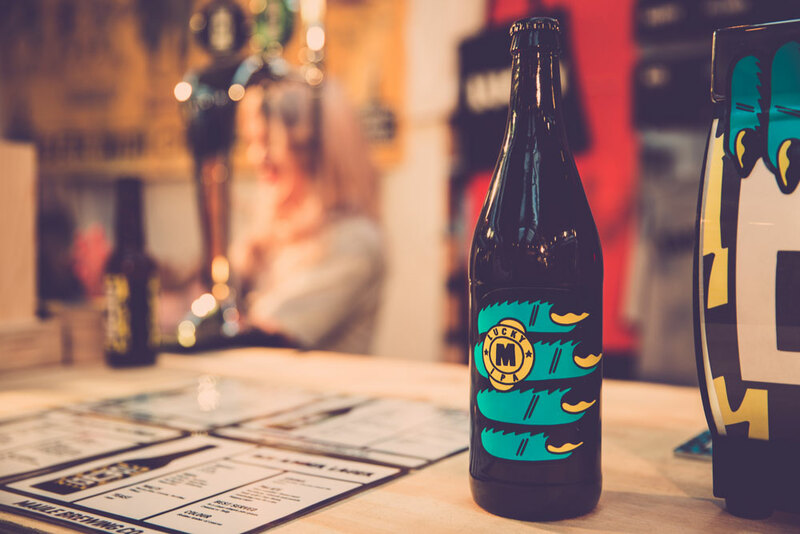 With the explosion of new breweries opening their doors all around the world, The Beer Awards’ aim is to highlight exceptional beers using IWSC Group’s rigorous judging method in order to make consumer drinking choices that little bit easier. The Beer Awards’ medals will act as a credible point of difference on a crowded shelf and influence purchasing decisions both on and off trade. Simon Jackson (former CEO of the Institute of Brewing and Distilling) will be chairing the judging panel and leading the charge of high calibre judges from across the industry including Des de Moor, Mark Dredge, Nigel Sadler, Annabel Smith and Chris Smart to recognise and reward the world’s best beers. The judging process for the main awards will employ the same rigour as all IWSC Group competitions with strict blind tasting by leading beer experts where beers are scored and awarded three, four or five stars. The five star beers will then be re-tasted to determine the best of the best. Finally, the beers will be subjected to a chemical and technical analysis where levels of alcohol, bitterness and colour will be tested in order to ensure consistency and reliability for the ultimate consumer. The competition is open to packaged beers (bottles and cans) from all around the world for all sizes of brewers; from nano to global and micro to regional.